The Mamapalooza Festival will commence it’s TENTH year of presentations in New York City this May, 2011. The outdoor festival, which is part of New York Park’s Dept. Summer On The Hudson Program is a day of family-focused entertainment with exhibitors, sampling and shopping. 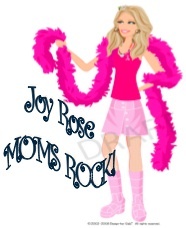 Additional events throughout the city focus on comedy, burlesque, singer/songwriter events and the 5th Annual M.O.M. 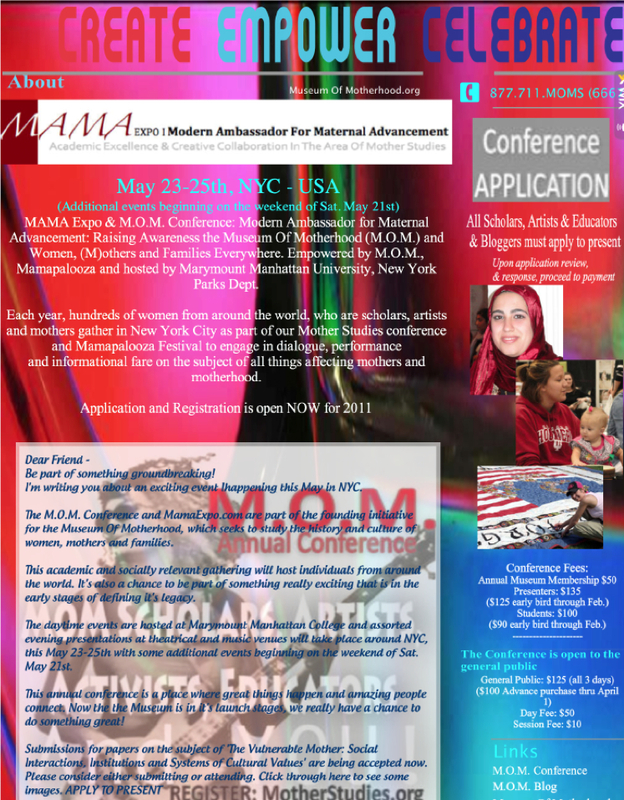 Conference as part of the Museum Of Motherhood and MAMA Expo, to be held at Marymount Manhattan College, May 22-25th. The conference highlights both academic, popular and artistic fare and is open to the public.